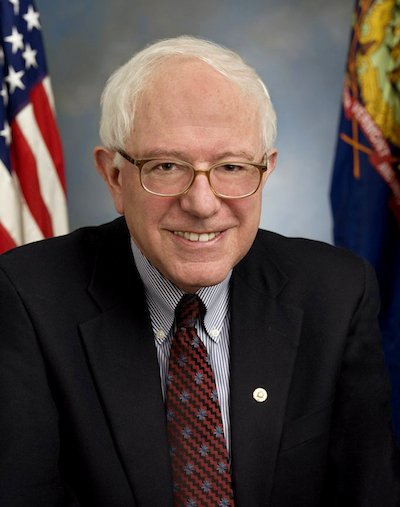 Home » Posts tagged "Bernie Sanders"
Topics: Radical history in Pennsylvania; the Sanders bill to make unionizing easier. People: Bill, Rachel, Nate. Produced: May 13th, 2018. Topics: Water utility privatization in the United States and beyond; the Sanders-Warren recovery plan for Puerto Rico. People: Bill, Rachel, Nate. Produced: Dec 17th, 2017. Note: No new episodes until January 9th. Half Episode. Topics: Bernie Sanders’ worker ownership bill; the failure of the railgun and other defense spending boondoggles. People: Bill, Rachel, Nate. Produced: Dec 10th, 2017. Regular episode returns next Tuesday, and then we’ll be off for two weeks. Should USPS be empowered again to offer banking services? …only about 7 percent of the world’s national postal systems don’t offer some bank-like services. The reason why this would be so useful in the U.S. is that somewhere between 20 and 40 percent of the population has to rely on check-cashing or payday-lending services, which in some places charge usurious rates that send people into spirals of recurring debt. …in 1910, William Howard Taft introduced a postal-savings system for new immigrants and the poor that lasted until 1967. The return of democratic socialism to middle America? There was a period about a century ago (give or take a couple decades on either side) when democratic socialism was taking root in some of the rural, populist regions of the United States. Government by and for the people was the counterweight to corporate rule. We often get too hung up over political labels and then reflexively dismiss the person. Sanders calls himself a “democratic socialist,” but what he stands for is actually more mainstream than people realize. He wants to expand Social Security, invest massively to repair America’s crumbling infrastructure, provide Medicare for all, make public college tuition free, break up banks that are too big to fail, and combat climate change, among other things. If you follow the figures, large percentages of Americans agree with many of these positions. In his words: “To me, socialism doesn’t mean state ownership of everything, by any means, it means creating a nation, and a world, in which all human beings have a decent standard of living. I’m not saying this means everyone in the American heartland is about to run out and vote socialist (or even for Sanders necessarily) but let’s hope it does signify that the Reagan Revolution cycle in American politics is coming to a close. We need to end the great lie that portrayed government as the enemy, while corporations were supposedly by and for the people against it. There are many ways that the very wealthy already benefit financially from U.S. government policies (which is frustrating to me), but opposing zero-tuition public colleges because rich kids might get to go to public colleges for free seems like a strange position. Clinton hits Sanders on his tuition free college plan: "I am not in favor of making college free for Donald Trump’s kids." And, as a side note about her overall plan (means-testing plus work-study), why should the poorest kids who’ve probably had to struggle the hardest to get to college also then have to work on the side to qualify for tuition coverage under her plan? Why don’t we just make it so everyone, regardless of means, has the right to go to college for free without working in addition to concentrating on their studies — and let the chips fall where they may? Why do we have to make these policies so complicated for no apparent reason? Just offer them to everyone and whoever takes it, takes it. It’s not that expensive.